By using the MySQL X Plugin with NodeJS I was able to increase query performance 10x (some query rewrite required). 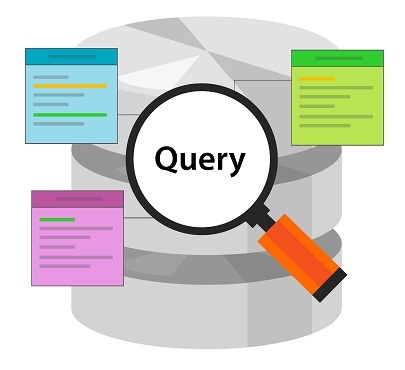 In this blog, we will discuss MySQL 5.7 asynchronous query execution using the X Plugin. MySQL 5.7 supports X Plugin / X Protocol, which allows (if the library supports it) asynchronous query execution. In 2014, I published a blog on how to increase a slow query performance with the parallel query execution. There, I created a prototype in the bash shell. Here, I’ve tried a similar idea with NodeJS + mysqlx library (which uses MySQL X Plugin). First, we will need to enable X Plugin in MySQL 5.7.12+, which will use a different port (33060 by default). Second, download and install NodeJS (>4.2) and mysql-connector-nodejs-1.0.2.tar.gz (follow Getting Started with Connector/Node.JS guide). Please note: on older systems, you will probably need to upgrade the nodejs version. Follow the Installing Node.js via package manager guide. All set! Now we can use the asynchronous queries feature. The table size only holds data for English Wikipedia for January 2008, but still has ~200M rows and ~16G in size. Both queries run for ~5 minutes each, and utilize only one CPU core (one connection = one CPU core). The box has 24 CPU cores, Intel(R) Xeon(R) CPU L5639 @ 2.13GHz. Can we run the query in parallel, utilizing all cores? Wrap it up inside the NodeJS Callback functions / Promises. var sql="select sum(tot_visits) from wikistats.wikistats_by_day_spark_part partition(" + p + ") where url like '%mysql%';"
For each partition, run the query in parallel: create a connection, run the query with a specific partition name, define the callback function, then close the connection. As the callback function is used, the code will not be blocked, but rather proceed to the next iteration. When the query is finished, the callback function will be executed. Inside the callback function, I’m saving the result into an array and also calculating the total (actually I only need a total in this example). … here the script will wait for the async calls to return, and they will return when ready – the order is not defined. Change User Password in MySQL 5.7 With "plugin: auth_socket"